If you want to visit a place with a beautiful view of Mount Aragats Byurakan may be one of the best choices for you. 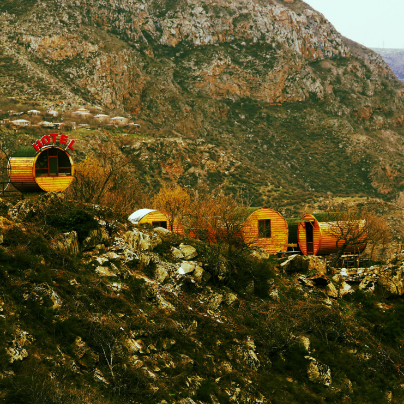 The village is on the slope of the mountain in Argatsotn Province. 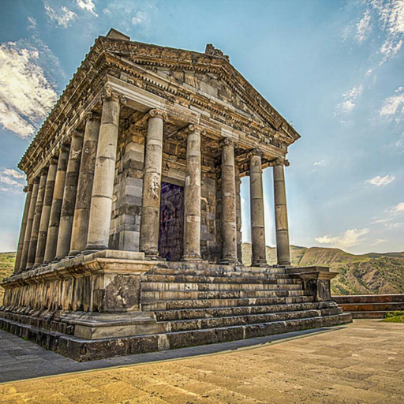 You may find the town very interesting as there are various historical sites such as Artavazik Church (7th century), Surp Hovhannes Church (10th century) and also a big Khachkar monument (13th century). 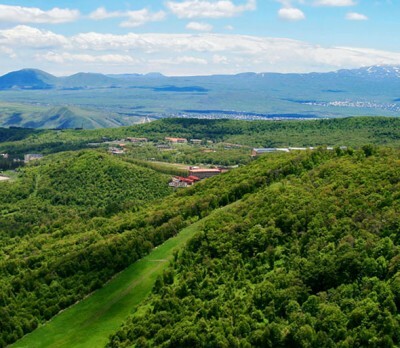 Moreover, in Byurakan you will have an opportunity to see and to be in one of the best observatory centers of the USSR - Byurakan Astrophysical Observatory. Soviet Armenian scientist Viktor Hambardzumyan decided to build Byurakan Observatory at the end of late 1945. He was one of the founders of theoretical astronomy and the second president of the Armenian Academy of science (NAS RA). 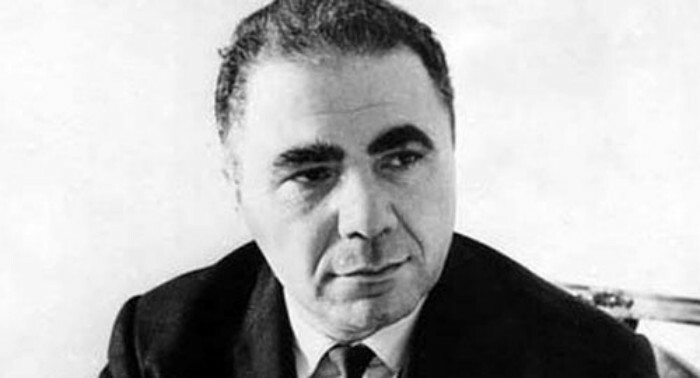 Ambartsumyan was one of the main founders of theoretical astrophysics. He became the president of the observatory at the age of 39. 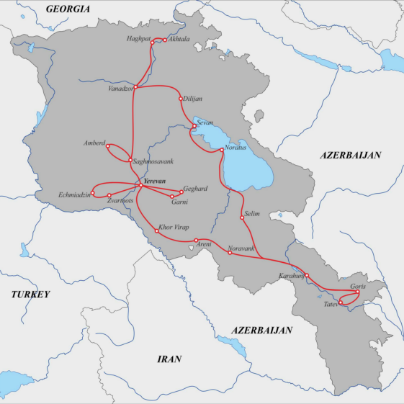 Hambardzumyan was born in an Armenian family in 1908 in Tiflis (Tbilisi), Georgia. He studied at the Leningrad State Pedagogical Institute, at Leningrad State University, and at the Pulkovo Observatory. 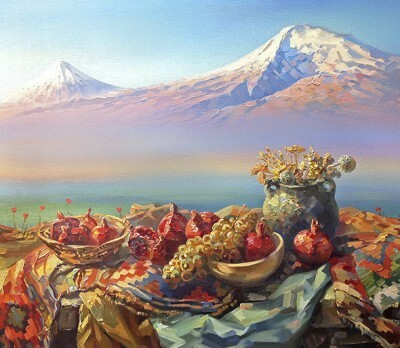 Hambardzumyan was married and had four children. 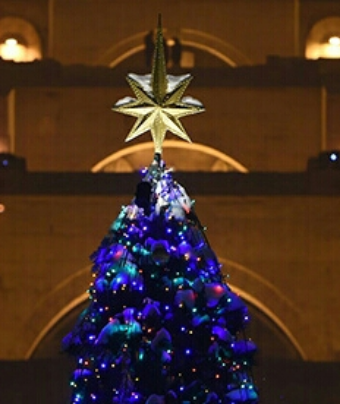 Their entire family moved to Yerevan in order for him to form the faculty of Astrophysics at Yerevan State University. He was highly respected in USSR, and everybody believed in his ideas. During the Second World War, he was the pro-rector at Leningrad State University. He served as a president of NAS RA for 47 years and as a president of International Council of Scientific Unions for seven years. He was the second person who was granted with an award of National Hero of Armenia. In 2010 an international award ($500,000) was created for the field of science. 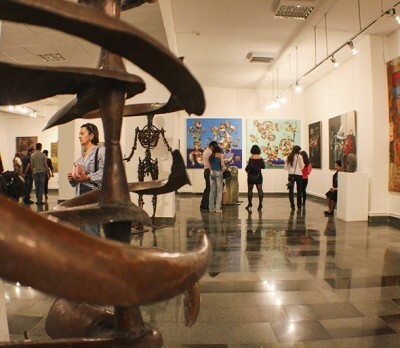 The award is called with the name of Viktor Hambardzumyan. In Armenia, the day of Astronomy is celebrated in his birthday – September 18. 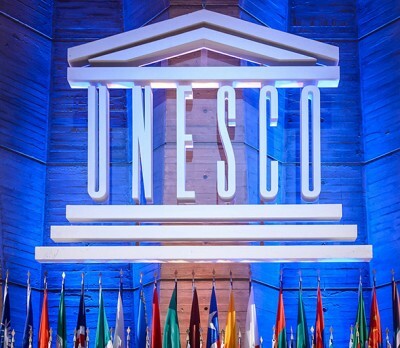 UNESCO declared 2008 Hambardzumyan’s year. Hambardzumyan died on August 12, 1996, and was buried next to the Grand Telescope Tower in the village Byurakan. Why the Village Byurakan was Chosen? 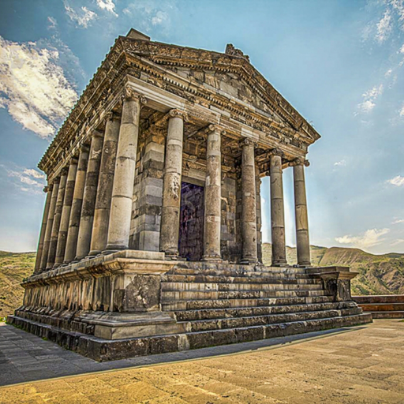 Byurakan was not the first observatory in Armenia. 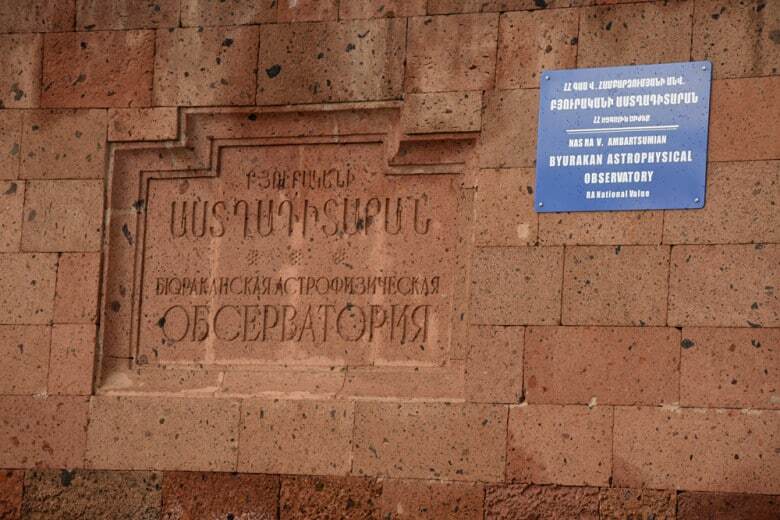 Yerevan State University had its observatory founded in 1933. But in the urban environment, it was not possible to do any research because of the pollution. This is the reason why the government supported the program. Byurakan has a necessary climate needed for productive work of the observatory. Astronomy scientists need to have an exact statistic about the weather such as how many days are rainy, sunny or windy. To find it out, some studies were done after which Byurakan was chosen. The official opening celebration of the observatory was in 1956. 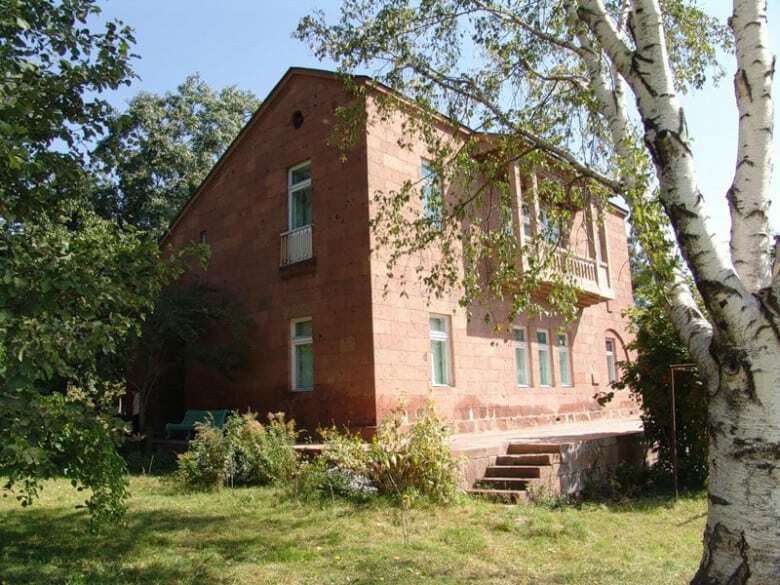 One of the first buildings of the observatory was the house of Viktor Hambartsumyan which is currently his museum. Although Byurakan is not a city it is in a list of 10 cities were the astronomy conferences are held. Hambardzumyan was proud he was Armenian. One of his colleges tells that very often people were calling the USSR Russia. Whenever someone was calling him a Russian scientist, he was correcting them by saying he was Armenian. Even when Russian scientists were coming to Armenia to work in the observatory, he made them take an Armenian language exam. Later he changed the language of conferences into Armenian. He had a habit of proofreading each article written by the members of the observatory to make sure there were no mistakes. 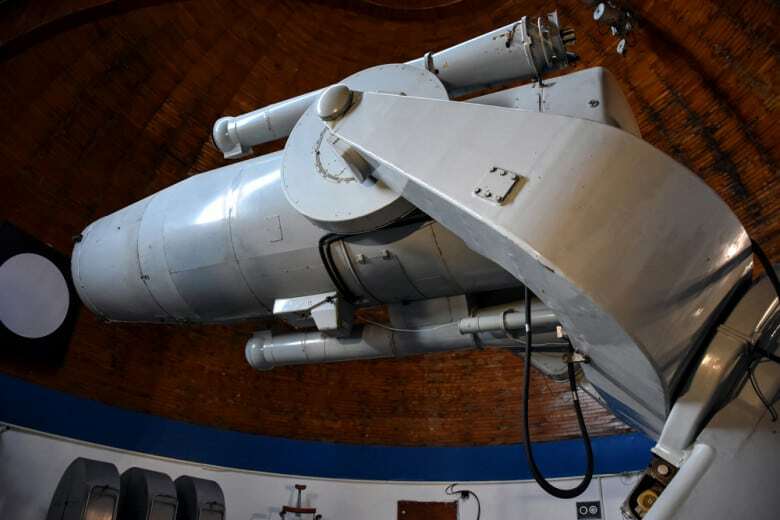 After the collapse of the USSR, the observatory was not renovated. It has approximately 70 buildings with the area of 52 hectares. There are several telescopes in the observatory. In Byurakan Observatory more than 1000 flare starts, several dozens of Supernovae, and hundreds of galaxies were discovered. 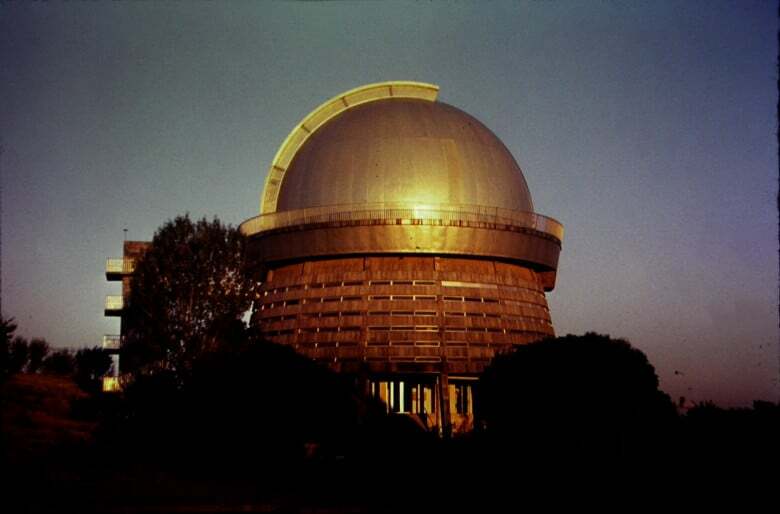 Currently, the observatory is owned and operated by Armenian Academy of Science. Although no new researches are done in the observatory, it is still active. The entrance fee for Armenians is 1000 AMD and for foreigners 1600 AMD. 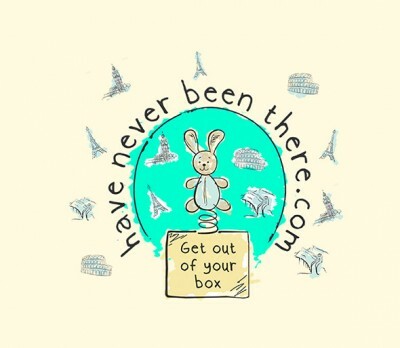 By visiting there, you will have an opportunity to observe the moon, planets and beautiful stars.